The Quebec Court of Appeal has ruled that former lieutenant-governor Lise Thibault must go to jail, rejecting her appeal to serve her sentence at home. 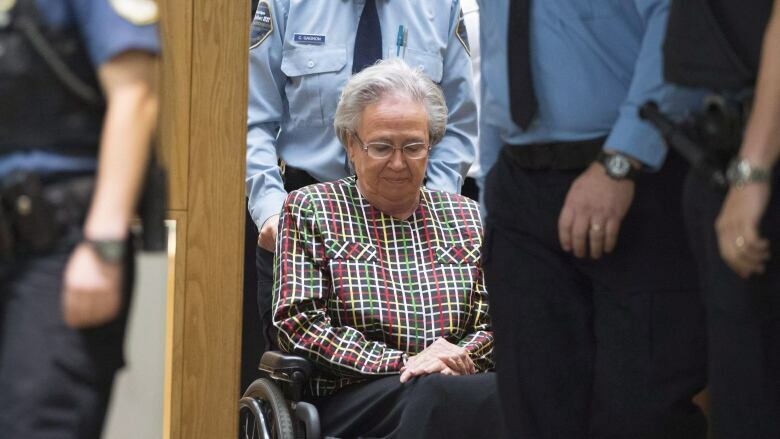 The Quebec Court of Appeal has ruled that former Quebec lieutenant-governor Lise Thibault must serve her sentence in jail. Thibault, 76, was sentenced to 18 months and ordered to repay $300,000 to Quebec taxpayers last fall after she pleaded guilty to fraud and breach of trust charges in connection with expenses she claimed while in office. Her lawyer, Marc Labelle, appealed the sentence, arguing for a lighter sentence to be served at home. The appeal contended that, among other issues, Quebec Court Judge Carol St-Cyr opted for a jail term over a deferred sentence to make an example of Thibault to dissuade others from committing fraud and breach of trust. Labelle also argued that Thibault was humiliated and ridiculed as result of the extensive media coverage of her trial, and that treatment should be considered part of her punishment. The panel of three justices rejected the appeal, ruling among other things that Thibault's constitutional rights were not violated by the original ruling. Thibault has 24 hours to turn herself in at the Orsainville Detention Centre near Quebec City. Labelle said it was too soon to say if Thibault would appeal the decision. "I've looked over the judgment, but it's too early to say if there's cause to appeal to the Supreme Court [of Canada]," he said. Thibault pleaded guilty in December 2014 to six counts for fraud and breach of trust in connection with allegations she misspent public funds. Thibault was first charged in 2009 after the Journal de Quebec newspaper revealed she spent public funds on herself and her family during her 10-year tenure.